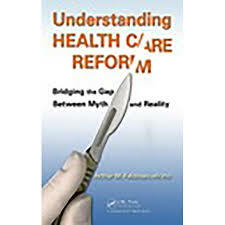 Health care reform is a blanket term used to describe changing health policy in a given country, specifically in the United States. The United States is the only industrialized nation to not offer some sort of universal health care system, leading to charges that many people cannot afford access to health care. In 2008, health care reform was a major platform of Barack Obama’s candidacy and the Patient Protection and Affordable Care Act, signed into law in March 2010, is seen as the first major step towards health care reform in the US in decades. According to several international agencies, the United States ranks last among developed nations in its quality of health care. The private insurance system, combined with rising medical costs, has made both prevention and treatment of health care for average Americans a massive financial undertaking. Costs for health care in the United States, as measured by the OECD, are higher than any other nation. Health care reform had its first push in the 1990s, in an effort led by then-First Lady Hillary Clinton. Political pressure from special interest groups killed the measure. Barack Obama was able to pass the ACA, less than a universal health care system, which went into effect in January 2014. Under the ACA, insurance companies are not allowed to deny coverage or cap lifetime benefit payouts. Management of Healthcare is a Global Issue - Management of Healthcare is a Global Issue Research Papers examine an order placed on AIDS in the United States and how it is being managed. Healthcare Information Systems - This research paper on healthcare information systems look into the computer- based systems that have become increasingly critical to hospital settings. Healthcare Financing - Writing a project on healthcare financing is largely about what approach the student wants to take on the topic. Health Insurance Portability and Accountability Act research papers examine the development of HIPAA and are custom written for every client! State Children Health Insurance Program Research Papers look at a sample of an order placed for graduate level services on SCHIP. Children's Health Insurance term papers on the program is a federally funded extension of Medicaid for children. Mandatory Massachusetts Health Insurance Law Research Paper previews a sample of an order placed concerning a health care policy. Obama's Healthcare Plan research paper examines the presidents intentions and various elements of the intended United States healthcare plan. 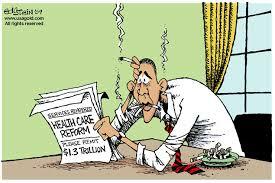 Order a research paper on Obama's Healthcare Plan from Paper Masters. Healthcare Financing is a topic that appears in economics, premed, nursing, finance, government and public policy courses in nearly every university across the country. Remaking Healthcare in America - Over the course of the last two decades, the healthcare system in the United States has undergone dramatic changes. History of Medicaid - Research papers on the History of Medicaid note that Medicaid is a state run History of Medicaidprogram, traditionally for low-income pregnant women, children under the age of 19, people over the age of 65, blind, disabled or individuals requiring nursing home care. History of Medicare - In researching the history of Medicare, you will want to look at how the bill started and who first introduced the idea to provide health insurance to Social Security recipients. Paper Masters writes custom research papers on Health Care Reform and discuss term used to describe changing health policy in a given country, specifically in the United States.